Captivating International is a Hong Kong-registered charity that works in partnership with locally-registered, grassroots Chinese charities in remote locations of China. Captivating’s mission and passion is to see disadvantaged, impoverished, poorest-of-the-poor children soar to see them reach out for a better tomorrow. 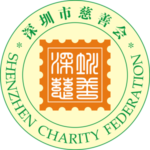 Shenzhen Charity Federation is a group specifically established by the Chinese government to assist in the legal distribution and control of funds to approved social projects within China. CAPTIVATING was accepted as an officially registered charity fund under the umbrella of the Shenzhen Charity Federation on August 4th, 2015. Shamtse is a small Qinghai-registered charity formed in 2015 that focuses on projects that bring hope and opportunity to children in this impoverished region who, without help, would fall through the cracks. 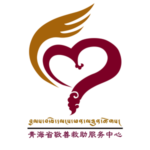 LOVEQTRA is a Qinghai-registered nonprofit, non-government charitable organization. We have partnered with LOVEQTRA since 2009. LOVEQTRA founded and directs the activities of Seng Girls Vocational Training School and Home (SGVTS), which has to date helped over 200 girls.